There are many catalysts that can trigger a substance abuse relapse, but perhaps the most insidious dangers come from certain mental health conditions. By hijacking the brain, they can make all the training and hard work of treatment seem very far away, and the ease and pleasure of getting high or drunk much better by comparison. 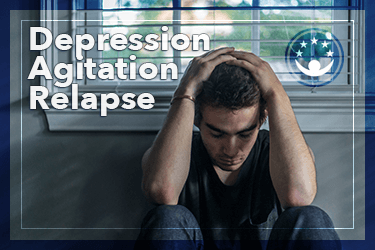 Among the various risk factors for relapse in treatment and recovery, depression and agitation rank very high, but they can be countered and overcome. To understand how depression and agitation (or anxiety or panic disorders) can threaten recovery by way of relapse, it is necessary to look at what such mental health conditions to do the body and mind. Clinical depression has a number of causes behind it: genetic, psychological, and social, sometimes occurring in isolation and sometimes in combination. These factors may affect how the brain functions, which causes a variety of behavioral and physical symptoms (which, in turn, increase the chance that a person will relapse). One such symptom is risky and impulsive behavior. A psychologist at Harvard Medical School tells WebMD that even though clinical depression causes fatigue and lethargy, some sufferers resort to drugs or alcohol to try and get out of the cloud that smothers them. The rush and thrill of a brief drug high or alcohol boost provide a small window of relief from the crippling emotional pain of clinical depression. As a mental health disorder, depression “can unearth unbearable feelings,” which simultaneously causes its victims to collapse under its weight and also compels them to try and escape. Some people do this by engaging in self-harm (such as cutting) or risky sexual encounters; others look for drugs and alcohol. Even with counseling and therapy, depression is a long-term condition, warns the Primary Care Companion Journal. Certain reminders of the “unbearable feelings” might trigger the escape response in some people. Part of treatment entails knowing how to control and counter those responses, and one such method might be mindfulness therapy. A meta-analysis study published in the JAMA Psychiatry journal found that mindfulness (a distinct psychological process of focusing the person’s internal and external attention on the present moment) controls depression, and patients in recovery who used a particular form of mindfulness therapy known as Mindfulness-based Cognitive Behavioral Therapy (MCBT) were nearly 25 percent less likely to relapse within five months compared to patients who used only antidepressants. Furthermore, some antidepressants were found to have serious side effects, including suicidal thoughts; mindfulness therapy, on the other hand, had no such issues. The lead author of the study, who is also the professor of clinical psychology at the Oxford Mindfulness Centre at the University of Oxford’s Department of Psychiatry, said that MBCT and antidepressants offered a “significant benefit in terms of reduced rates of relapse,” by giving clients who have a notable history of depression new approaches and skills to stay sober. As a way of empowering clients to take responsibility and invest in their own recovery, MBCT teaches them meditation techniques that they can apply in their daily lives, whenever their depressive feelings become active and the temptation to relapse is noticed. Mindfulness therapy as part of addiction recovery can be literally lifesaving. According to Psychology Today, people who have depression have a 10 percent lifelong chance of committing suicide, as do people who have a substance use disorder. A person who has both depression and a substance use disorder has a 25 percent chance of suicide risk. For this reason, depression is taken very seriously in substance abuse treatment, and any recovery program should have components for addressing both the addiction problem and the depression, separately and simultaneously. Depression is not the only mental health disorder that can jeopardize recovery and increase the threat of relapse. Like depression, anxiety is a part of normal life; it is a natural response to stress, and it might even be a good thing if channeled into a positive outlet. But like depression, there is another form of anxiety, known simply as anxiety disorder, where victims cannot simply “get over” their anxious feelings; they remain in a state of tension, which affects their thoughts, moods, and behavior. It affects their relationships and their professional/academic performance; victims are constantly agitated, on edge, and unable to sleep, no matter how far removed the source of the stress is. This, explains the National Institute of Mental Health, is anxiety disorder, a term that covers a number of similar conditions, some of which include generalized anxiety disorder, panic disorder, and social anxiety disorder. Each form of anxiety disorder has unique symptoms; generalized anxiety disorder, for example, can last for months, with the victim helpless to stop or overcome the feelings of persistent or excessive worry. People who have panic disorder experience repeated and unexpected episodes of intense fear that something terrible is going to happen at any moment. Those who suffer from social anxiety disorder have a crippling sense of agitation about interacting with other people, being judged, being criticized, embarrassing themselves, or being otherwise hurt in a social context. Psychiatric Times writes that as much as 28 percent of the American population experiences an anxiety disorder in a single year (as many as 40 million people), and for people who have anxiety disorder, there is a 45 percent rate of experiencing a co-occurring a substance use disorder. As with clinical depression, anxiety disorder and substance abuse share a complex relationship. The effects of one disorder can make the effects of the other worse; for example, the stress caused by panic disorder can make a sufferer abuse prescription drugs for their calming effects, or someone with social anxiety disorder may drink excessively to make it through a public speech or job interview. In this way, drugs become a coping mechanism for the symptoms of an anxiety disorder, albeit an unhealthy mechanism. The same problem exists in recovery; notwithstanding all the insights and lessons learned from treatment, the triggers for agitation still exist in the real world, even for a person who has been through a treatment program. Feelings of stress that are unchecked and allowed to build lay the groundwork for relapse. They may compel a person to try something risky under the belief that the treatment philosophies don’t work or are insufficient to overcome the present challenge. The frame of mind may make past substance abuse seem glamorous by comparison, similar to how getting drunk or high during a depressive period seemed like an escape. This may especially be the case if the person used drugs or alcohol to overcome feelings of panic, agitation, or anxiety. When facing those same feelings again in recovery, and if the coping skills from treatment are not being applied, there is a strong possibility of anxiety-influenced relapse. As with depression, mindfulness therapy has shown effectiveness in helping those with anxiety and agitation disorders to control their symptoms. A psychiatrist at the Center for Anxiety and Traumatic Stress Disorders at Massachusetts General Hospital, who is also a psychiatry professor at Harvard Medical School, told Harvard Health Publications that “mindfulness meditation makes perfect sense for treating anxiety.” Those who suffer from anxiety disorders tend to struggle with powerfully distracting thoughts, typically about what can go wrong in a situation, and they may become unshakably convinced that something bad will happen. What mindfulness does for people with anxiety disorders is teach them to recognize that they’ve had those thoughts before, that such thoughts are unfounded and unproductive, and that they do not speak to reality or the individual’s core self. Breathing and counting exercises can shut off the chatter of an anxiety episode, and focusing on the present moment helps the person move through, and eventually past, the anxiety. This applies to the threat of relapse in recovery. A person who feels agitated, and who can recognize the signs of an oncoming anxiety attack, can use mindfulness training to recall the skills and lessons imparted during treatment, staving off the temptation to drink or use drugs to get through the distress of the anxiety. Any recovery program will emphasize the importance of being connected to a peer group after formal care has been completed. This kind of aftercare support is vital to ensuring that relapse is kept in check because no amount of therapy can remove the real-world conditions that can cause the familiar feelings of depression and anxiety to arise. The philosophy of using deliberate and mindful breathing to slow things down, and to tackle thoughts one at a time, is useful in reminding those in recovery that they can call a sponsor or remove themselves from a situation if they are in trouble. In 2016, researchers at the University of Washington’s Depart of Psychology reported in Substance Abuse that in a study of 168 people with substance use disorders, those who had received Mindfulness-Based Relapse Prevention Therapy had “significantly lower rates of substance use” four months after treatment compared to another group that received treatment as usual. Furthermore, those who received mindfulness therapy showed “greater decreases in craving, and increases in acceptance and acting with awareness.” The study authors were content with determining that relapse-prevention therapy based on mindfulness was both feasible and effective as an aftercare approach for those who had completed treatment for addiction disorders. Depression and frustration (agitation) tend to trigger intense craving and the need to use or get drunk again. 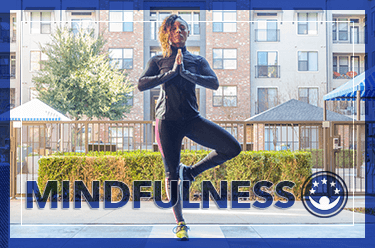 Mindfulness-Based Relapse Prevention Therapy helps clients become aware of what’s happening in their minds, demystifying the thought patterns that lead to relapse. Breaking the process down into smaller parts empowers clients, making them into experts on themselves, returning thought control to them, and showing them how they can steer their emotions, moods, and responses into stronger, healthier areas.